What are Levulan + Blue Light PDT? Levulan Aminolevulinic Acid (20%) is a naturally occurring photosynthesizing agent, which has been designed to treat pre-cancerous lesions called actinic keratoses. If untreated AK’s may develop into skin cancer. Levulan is applied to the skin and then “activated” by blue light. 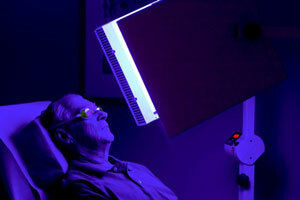 This process is known as Photodynamic Therapy. 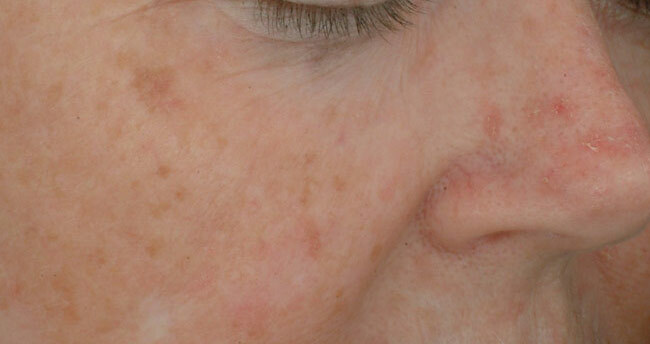 Actinic Keratoses (AKs) are rough-textured, dry, scaly patches on the skin caused by excessive exposure to ultraviolet (UV) light, such as sunlight. They are often referred to as “sun spots” and they occur most frequently on sun-exposed areas such as the face, scalp, ears, neck, hands, and arms. They form on the outermost layer of skin and they can range in color from skin toned to reddish brown. They can also range in size from as small as a pinhead to larger than a quarter. 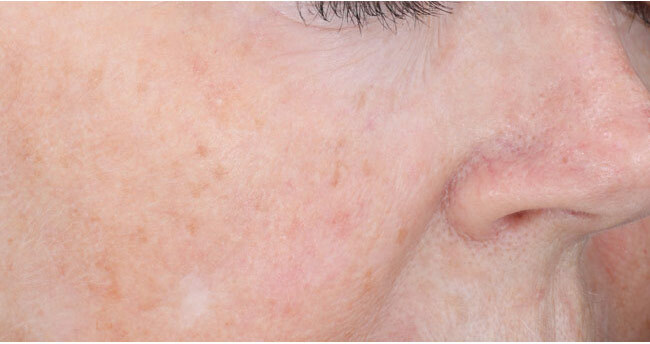 More than 10 million Americans have AK lesions, with the majority occurring primarily in fair-skinned individuals. What do AK’s look like? Approximately 90% of the outermost layer of skin (epidermis) is made up of tough walled cells called keratinocytes. It is these cells that give the skin its texture. 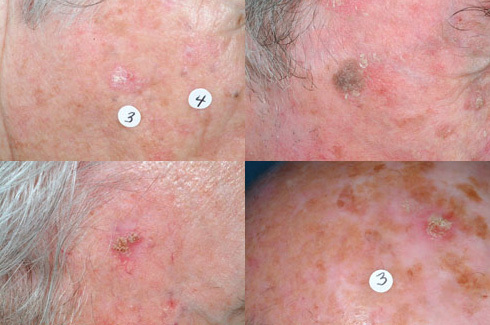 When keratinocytes are exposed to years of sunlight, cell damage can occur. These cells then change in size, shape, as well as the way they are organized. AKs may range in appearance. They can be light or dark, the same color as one’s skin, tan, pink, red, or even a combination of these. They can also range in size and texture. AKs are considered to be the first step in the development of skin cancer. They have the potential to progress to squamous cell carcinoma which is generally not life-threatening if detected and treated early. In most cases, when AKs and all types of skin cancers are caught in the early stages, they are treatable and curable. That is why it is so important for individuals with AKs to be under a dermatologist’s care. Frequent skin examinations are the key to early detection. Is the BLU-U® a laser? The BLU-U is not a laser. Lasers deliver light as coherent beams, while the BLU-U delivers incoherent light scattered over a larger area. How long is a BLU-U light therapy session? The doctor will prescribe the most appropriate time frame for your acne, but typical sessions last roughly 16 minutes. Who performs the BLU-U light therapy procedure? A physician or registered clinician is required to perform the procedure. Is it possible to stop the therapy midway through a session? Yes, if a patient needs to remove himself from the unit, or asks for it to be turned off, he can do so at any time. Once the light treatment is stopped, it is not to be resumed during the session. Not exclusive to teenagers, many young adults, people in their 20’s and 30’s, have trouble with acne that is hard to control. The BLU-U® Treatment – using the light without drugs or antibiotics – may be something for you to try. Ask your doctor. The BLU-U blue light is available in the offices of doctors who specialize in skin treatments. You can ask your doctor if your case of moderate acne is right for BLU-U Blue Light Treatment. If you are looking for an alternative to medications or antibiotics, it might be just what you need. What is acne, and why is it so hard to control? sebaceous glands. Their function is to collect and excrete the oily substance called sebum, to keep the skin healthy. However, the tiny pathway for the sebum to escape often becomes clogged, and a bacterium called P. acnes grows inside. In a short time, the area swells up and forms a pimple on the skin. At certain times of life, this process becomes very active, troublesome and hard to control. Is there a new way to control moderate acne? There are many treatments for moderate acne – creams, washes, medications – mild ones and very strong ones. However, your doctor may decide that certain medications, such as antibiotics, aren’t right for you. Your case of moderate acne may not be responding to medications or other conventional treatments. It may be hard for you to keep up with complicated routines of skin care. Maybe it’s time to consider something new.